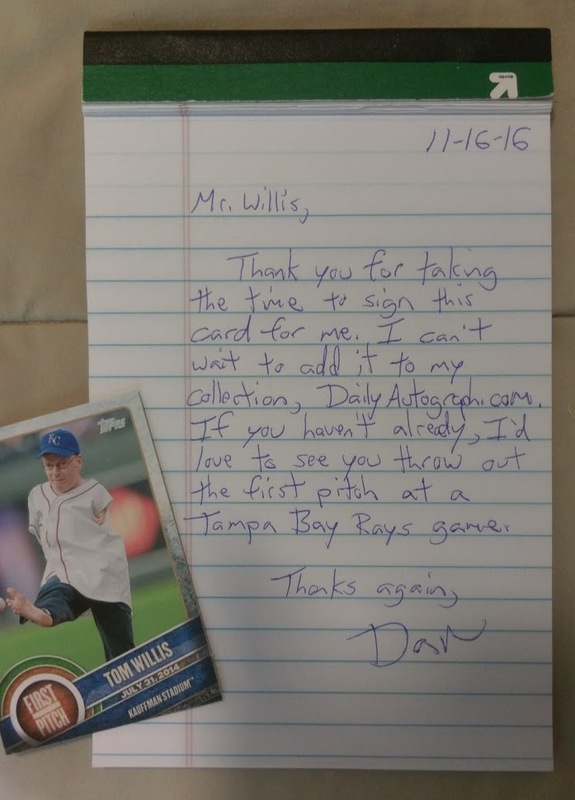 I found Mr. Willis' email address and sent him an email asking him if I could send a card to be autographed. Less than 3 hours later, he kindly responded with an address for me to send the card to. The following morning, I wrote him a quick note and mailed my card to him. Nineteen days later my card came back signed. 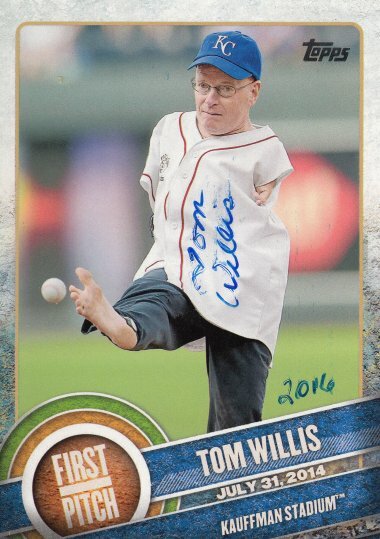 Tom signed a 2015 Topps First Pitch card #FP-09. 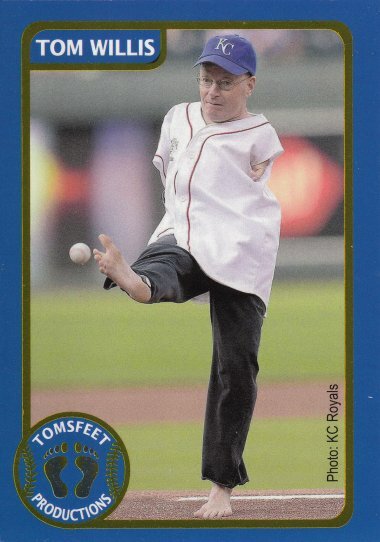 He also included his own card, which features the same image.